Acoustic Tile - The Hieno! BAUX, the brand started by Form Us With Love, has designed a new acoustic tile that was inspired by wood, parquet, and bricklaying. 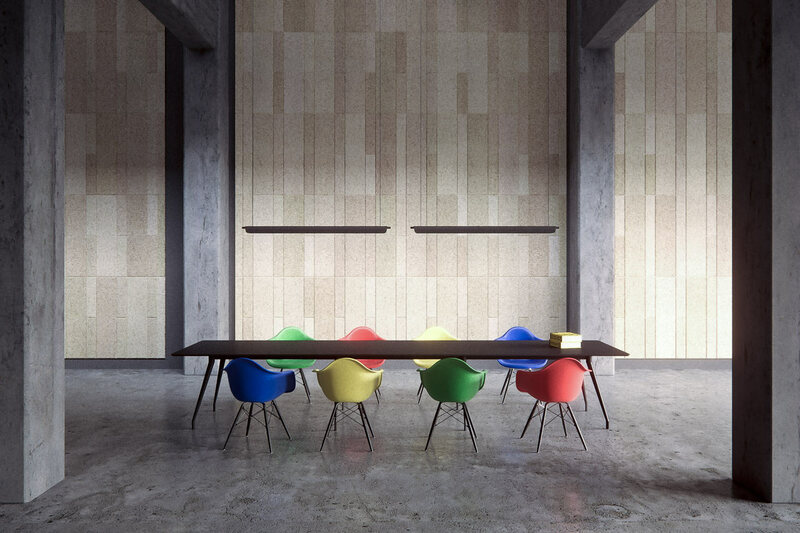 Just like their Träullit and Panels collections, Plank helps control sound while creating a modern look in natural colors and wooden textures. We use only natural materials.Plank is available in two, rectangular sizes, which are the only shapes you’ll need to create all different types of patterns, like herringbone, basket weave, diagonal, or a brick pattern, etc.